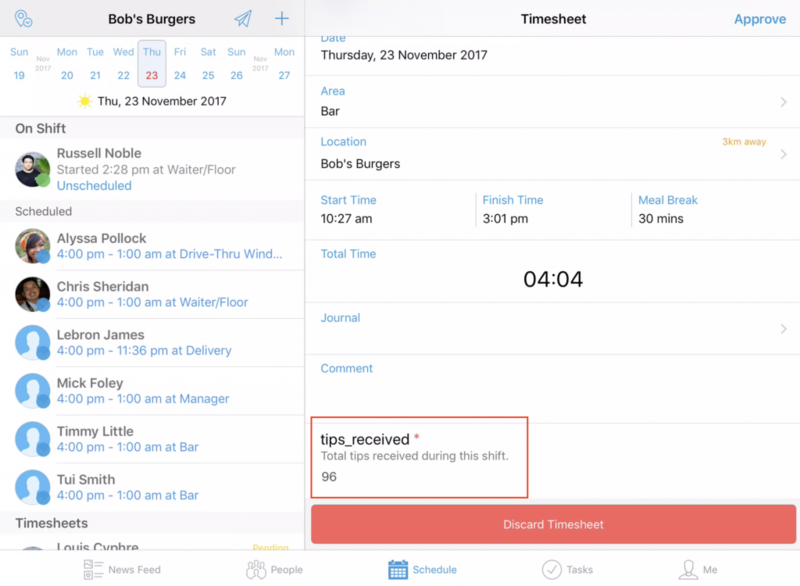 Custom Timesheet Fields allows you to create and customise fields within your employee's timesheets. 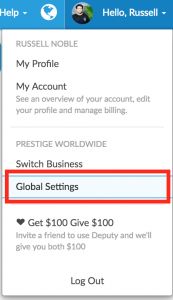 To create a Custom Timesheet Field, head to your 'Global Settings'. Now click the 'Timesheets' tab, then click 'Timesheet Custom Fields'. A pop-up will appear. Here, you can add the new field, where you can create the field name, the new API name, if validation is required, and any tooltip help text you may want to add to the custom timesheet field. In this box, you can also select which areas to apply this field to. In the example above, a 'Tips received' field was created. Naturally, this would apply to floor staff and servers. In the below image, we've selected the relevant areas to apply this custom field to. When you are done, click 'Save This Custom Field' at the top of the page to confirm your changes. 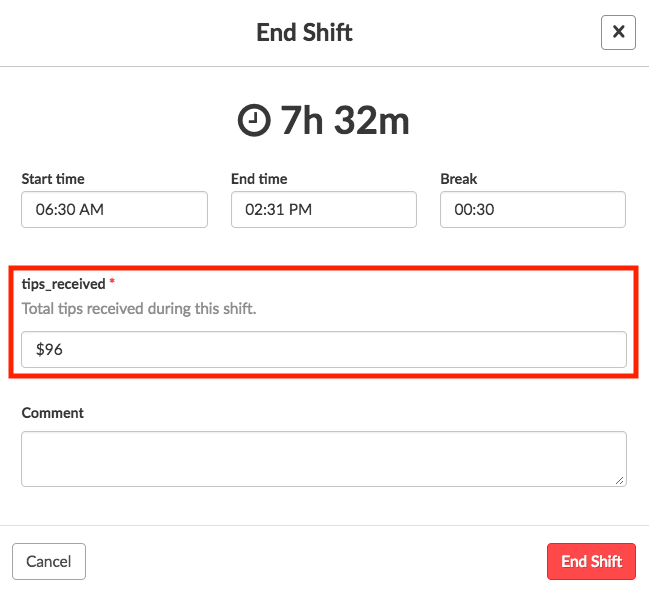 After clicking 'End Shift' on the Me tab, you will see the following modal, which allows you to enter a custom field into the timesheet. In the image above, we can see the employee is working in one of the areas selected previously. In the image, the tooltip help text also appears next to the custom field. 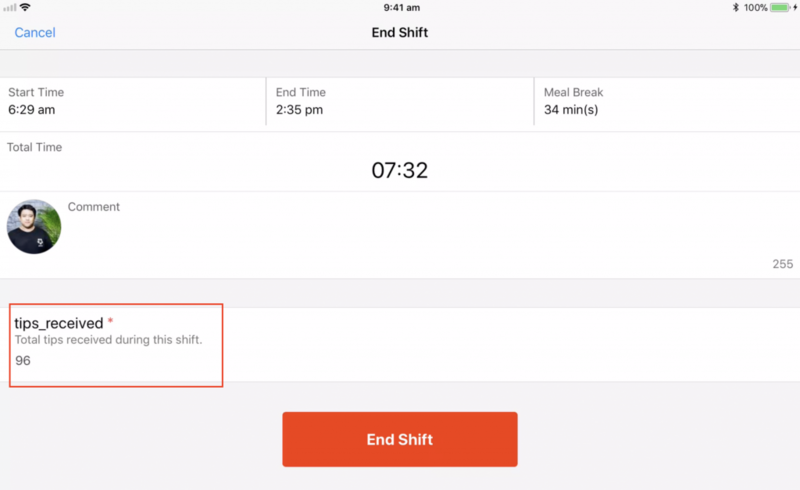 After tapping 'End Shift', the custom timesheet field will appear on the 'End Shift' screen. To view the field, head to an eligible timesheet. The new field will appear under the total shift time. 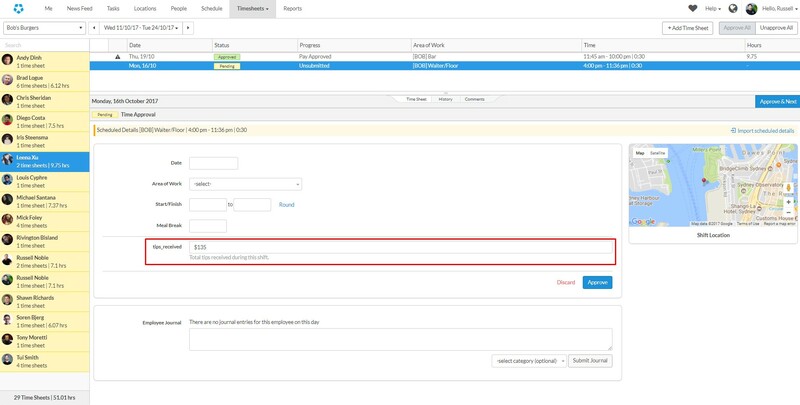 When submitting a timesheet, you may be presented with the option to add a value to a custom field. The field will be in the image as displayed below. When ending your shift, you can enter a value into the custom fields. 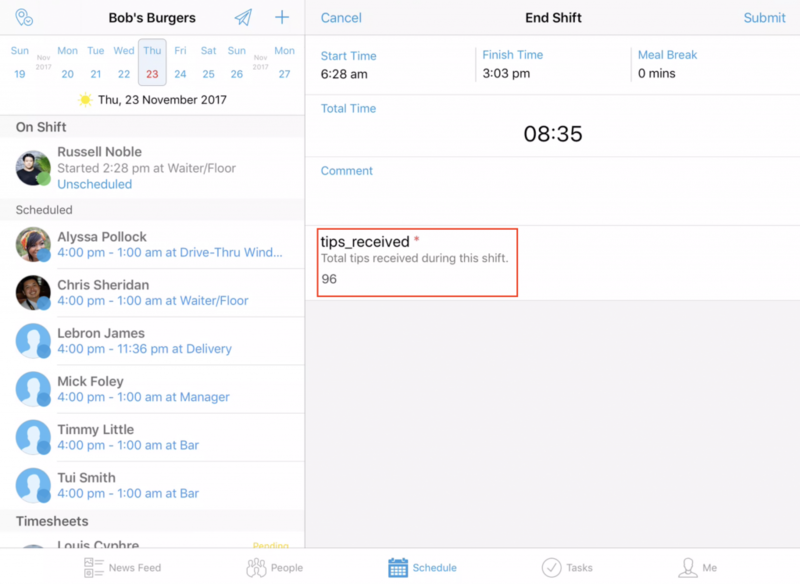 When ending your shift via the iPad Deputy app (non-kiosk version), simply end your shift, then, on the following screen, enter the value in the Custom Timesheet Field. 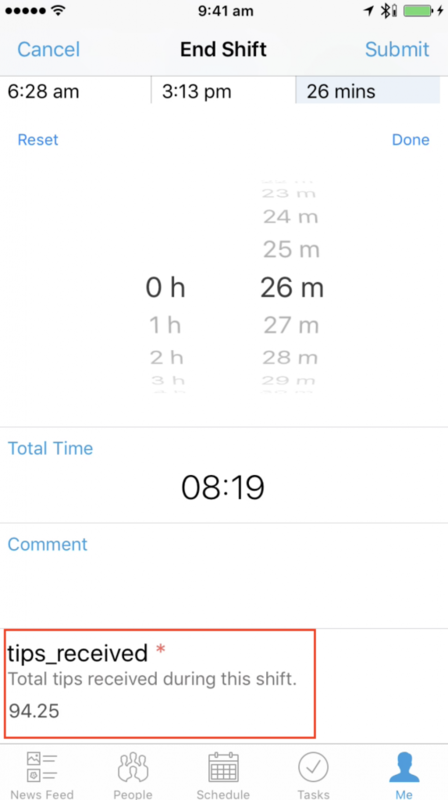 You can approve timesheets that contain custom timesheet fields as well, as seen in the screenshot below.